Born in 1927 in Brooklyn, New York, Alex Katz is one of the most important and respected living American artists. In 2012 Katz will celebrate his 85th birthday, and a career that spans a remarkable six decades. 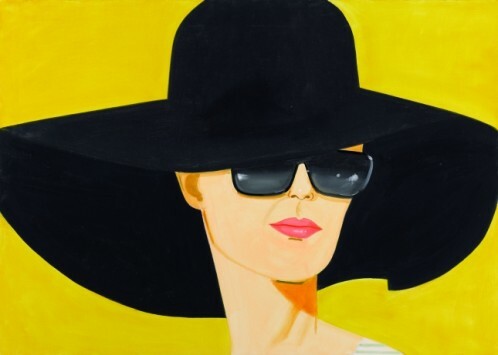 For his exhibition Alex Katz: Give Me Tomorrow at Tate St Ives Katz brings together over 30 canvases, plus collages and cut-outs, that span the full breadth of his career from the 1950s to now. Given the Gallery’s location on the beach, and the nature of the summer season here, the exhibition places a special emphasis on Katz’s seascapes and beach scenes, as well as images of family holidays and friends, painted in his own seaside retreat of Lincolnville, Maine, where he continues to spend his summers. To accompany the show Katz has made a personal selection of works from the Tate collection. Drawn from British, European and American artists, he brings together an illuminating cross-generational selection of artists for this special one-room display. Katz’s paintings are defined by their flatness of colour and form, their economy of line, and their cool but seductive emotional detachment. Working with classical themes of portraiture, landscape, figure studies, marine scenes and flowers, many of Katz’s works picture an everyday America of easy living, leisure and recreation. Influenced as much by style, fashion and music as he is art history, he remains a very classical painter, working in the tradition of European and American artists like Manet, Matisse, and Hopper. Katz began exhibiting in the 1950s, emerging at a time when Abstract Expressionism was still the dominant force in American art. Whilst his interests were firmly based in the previous generation of artists including Pollock, Rothko, Guston and De Kooning (De Kooning and Guston in particular offered early support and encouragement), his own painting developed in reaction to their work, and he is acknowledged as a hugely influential precursor to the Pop Art movement with which he became associated throughout the 1960s. Katz has created an unmistakable language and has remained a prolific painter and an influential and important figure for generations of artists, including now senior painters like David Salle, Peter Halley and Richard Prince, as well as younger artists like Brian Calvin, Peter Doig and Elizabeth Peyton.